Gorman-Rupp, pump manufacturer of Mansfield, Ohio introduces a new line of horizontal end suction centrifugal pumps. Gorman-Rupp has long been recognized as a leader in self-priming pump technology. The new 6500 Series™ line offers solids and water handling end suction centrifugal pumps based on the proven technology of the Prime Aire® and Prime Aire Plus® models. 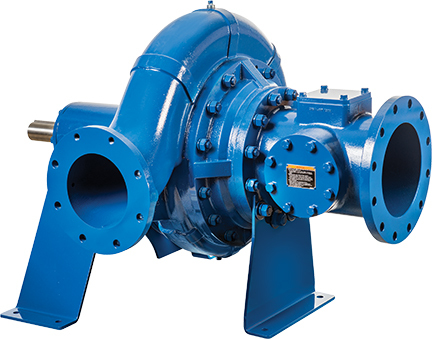 Featuring model sizes from 3” (75 mm) to 16” (400 mm), flows to 15000 GPM (946.4 lps), total dynamic head to 530’ (161.5 m) and solids handling capabilities up to 4” (101.6mm), these pumps will provide a high level of performance and efficiency for applications in wastewater treatment plants, industrial facilities, construction, mining, and agricultural uses.